Aye Soe is a highly entrepreneurial woman who runs not one, but three businesses! Her first is a weaving business employs five women. These women come from rural areas and stay with her in her home for up to three years, while she trains them how to weave traditional cloth. She feeds and houses them, and as their skills increase she increases their salary. She owns twelve cows and runs a milk production business. The cows live right next to her weaving looms. She milks the cows each day and carries the milk by motorbike into Kalay (around 4km), selling the milk door-to-door. She also buys wholesale vegetables when she’s in Kalay selling the milk, bringing them back to the village to sell in the afternoon. 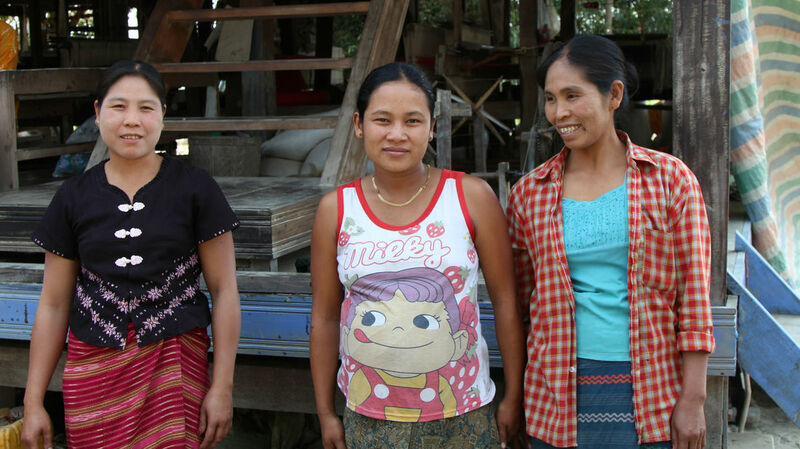 ​Aye Soe’s biggest challenge is getting access to more capital to expand her work, so microfinance has been invaluable to allow her to build and expand her businesses. It’s also allowed her to get back on her feet and rebuild her businesses following major setbacks. A few years ago, a fire destroyed her house and storage shed. Then in 2015, disastrous floods wiped out most of her weaving stock and equipment. 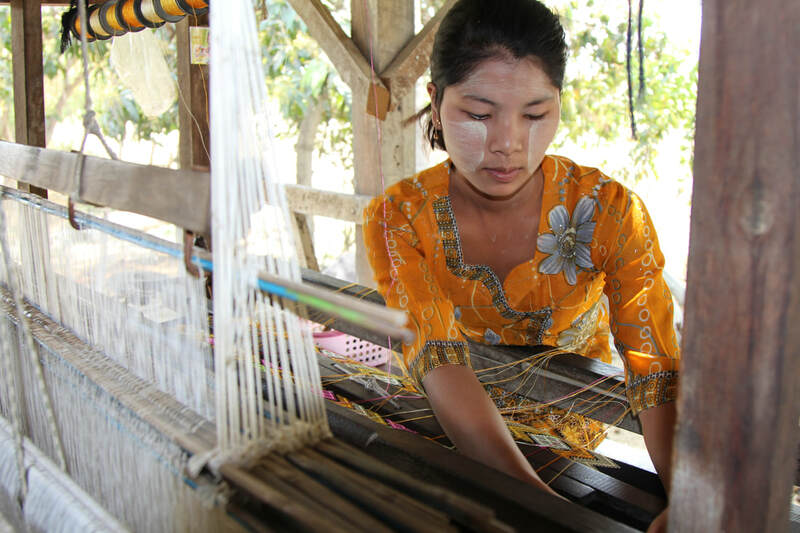 A small loan from our Myanmar partner, ZMF Finance, allowed Aye Soe to purchase new looms and materials for weaving. She has slowly been building her business back up, and now can produce 10-15 pieces of material per week in the weaving business. Access to microfinance on fair terms is important to Aye Soe. She says that if she didn’t have access to a loan from ZMF, she would have had to pawn or sell her gold jewellery (which is very significant to Burmese people) in order to get capital. Looking to the future, Aye Soe has big dreams. Her vision is to have 10 looms, which will allow her to scale the weaving business. She is focused on providing a good education to her daughter, and dreams that her daughter might one day become a teacher and can educate others.